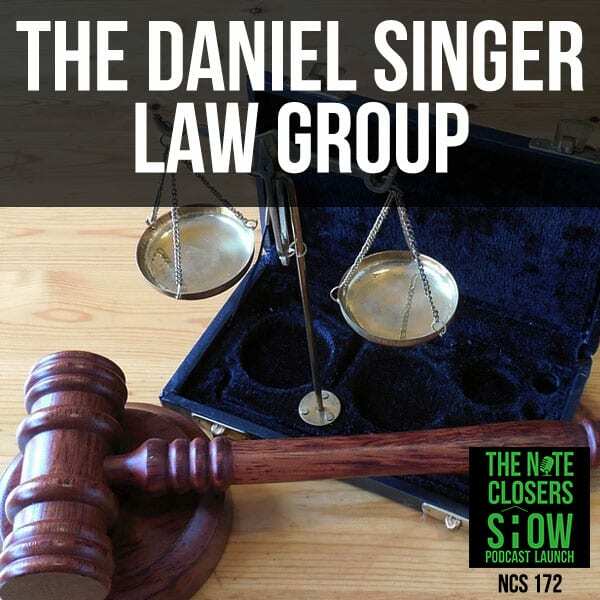 Scott interviews Daniel Singer and Joel Markovitz with special servicing company, the Law Offices of Daniel Singer. We are honored that we’ve got two extremely busy guys who are taking time out of their hectic schedule working with real estate investors and funds all across the country with their non-performing note stuff. I’m here and honored to be at The Law Office of Daniel Singer with Daniel Singer and Joel Markovitz. How’s it going? You guys are rock and rolling here in Irvine, California. A lot of people, when they talk about notes, they understand that they have to have a servicer of some sort. They need to have somebody who’s keeping them legal. Before we dive into a lot of that, why don’t you share a little bit about your backgrounds and what you guys do here? We’ll start first with you, Daniel. I come from the very traditional creditors’ right space, having represented virtually all the major lending institutions, trustees and loan servicers, varied foreclosure and troubled workout loan situations, and bankruptcy. I got out of that, relatively in that space, I represent clients and all types of matters but over the last six years, focused on buyers and sellers of non-performing loan. I’m helping them in similar situations. How many loans or foreclosures do you think you’ve been responsible for over the years? I sadly think that I’ve probably foreclosed on north of 10,000 houses over my thirteen years representing clients. I’ve probably represented clients in at least that many motion before bankruptcy stuff. It’s quite a bit. I had a client one time that’s doing about 1,000 a month. It was a lot. Joel, talk a little bit about your experience and your background. I’m very focused on borrower contact. The nuts and the bolts of everything that we do is really about borrower contact. Going back to everything in 2009 and 2010, I’ve worked with a borrower outreach company. We did all of the outreach for Citi Mortgage, for Nationstar, PMI, Genworth. We did a lot of borrower contact in those days. We’re trying to get a hold of borrowers. We utilized a variety of different strategies. How do you get a conjugal resolution dealing with the program and was constantly evolving. Going back to 2009 and 2010, we spent a ton of time on that. Eventually, we started working in different projects. One project came my way which happened to deal with the portfolio of non-performing mortgages, but they weren’t bank owned, they were investor owned. Then, that introduced me to the note space. One of the exciting things about being in the note space is that unlike a financial institution, the note investor cares about one thing: How quickly can I turn that property back into cash? There’s no governmental reporting. There’s no dealing with insurance policies and bonds. Spending full-time in the note space really since 2012 and dealing with borrower outreach and borrower contact. One thing leads to another and you start to make contacts and relationships with different banks, hedge funds and things of that nature. Over time, besides the fact of working on behalf of clients, you start to have relationships on the acquisition of assets. I actually was counsel for a client that Joel was working with. I was actually Joel’s attorney or the company’s attorney for several years. What do you guys see going on in the market right now? Let’s talk about the pricing. How is that compared to the past? I know you’ve got 20,000 in files, 10,000 you foreclosed,10,000 represent other things. What do you see on the market now, Daniel? Where is this going to provide you less state or federal scrutiny either through requirements of debt buying licenses, pre-foreclosure workouts. The market now, in my opinion, is less dictated about where is the hottest rental market and where is more of the easiest market to liquidate your assets. Where is this going to provide you less state or federal scrutiny either through requirements of debt buying licenses, pre-foreclosure workouts. For example, Nevada recently changed the Nevada Mediation Program, so if you have an asset in Nevada, it will be another 60 days. The market now is really being dictated by what some state or federal regulator is deciding is going to be good for their state. That I think is going to be the trend for the next year or two years, states continue to tighten their grip on who can do business in their states. We talk to clients all the time, be less focused on the hot rental market and be more focused on what’s the legal issues that are coming up in the states that you’re buying in. Because there’s opportunities with those type of legal asset opportunities, right? Absolutely. Why would you want to sit in a state that’s going to drag you out for four years of foreclosure even if it’s a hot real estate market, because the likelihood by the time you liquidate the asset, that market will no longer be hot, versus going to a favorable state that has not as much scrutiny that you can liquidate a property in 90 days. Again, if you’re recycling your cash quicker. What do you see being probably the biggest difference now versus the market two, three, four years ago? Two, three, four years ago, the first thing you’re going to go to is pricing. Of course, pricing has changed and pricing has elevated. At the same time, I think Daniel was spot on with regard to legislative and many things, but also the exits. At one point in time, the trend was to modify and then potentially the deed in lieu foreclosure was less of a reality. I think now foreclosure is a reality. I think the opportunities for deed in lieus started to funnel out and more attention option, more foreclosure option. I think those are how things in the markets evolve. There are certain states that makes things easier and certain states that are more consumer centric. When you buy the assets in those states, you probably want to be cognizant of those factors. If we look back a few years ago, you couldn’t give away Ohio and Michigan assets, and now it’s one of the hotter markets for note investors out there. I had a conversation with some of those, Florida. You’ve literally couldn’t give if it was on the twenties. Prior to Irma, people want Florida in the 60s or even into the 70s. Quite frankly that doesn’t play. Seeing a lot of guys who are buying fix and flips home that got away from the courthouse steps and are now entering into the note space. You’re seeing new and new players are coming to the market. Years ago, it was a very reclusive, everybody is quiet about the debt buyers. Now, the meet-ups are mainly built up of debt buyers, where before it wasn’t like that. The REO refugees have made their way on this side and driving pricing up because they’re basing pricing on after value versus as is value for the most part. Not only you guys are working a lot on assets, talking to a lot of investors. What are some of the mistakes, Daniel, that you probably see investors are making when they’re looking at buying their assets and then looking at it as a potential exit strategy? Are you guys a servicer or are you more of a special servicer? Joel, you want to talk about the difference of those two? A servicer is somebody that keeps you in compliance, someone who is in the middle of the road that sends out statements every month. They take care of all the little necessary regulatory items. A special servicer, a loss mitigation firm, or in our case a loss mitigation law firm, we get to roll up our sleeves, we get down into the trenches and we resolve the delinquency. Our all focus is how quickly we can get to that borrower and resolve the delinquency, whether it’s through a retention option, liquidation option or a foreclosure. In today’s world, foreclosure is a significant reality. You have to be comfortable with it. Also, when you’re buying an asset or you’re doing your due diligence, having an understanding that if I eventually have to foreclose, it’s going to take me X amount of months in which to foreclose, you have to be patient or your capital has to be in order to get there. If you buy an asset in Maryland, it’s going to take you X amount of time, decide that, “I think I want to shorten this.” I think you have to plan your exits based around that. Should people that are doing that just rely solely on their servicer or should they have somebody that’s a little more aggressive on the ball? What we do is significantly different than what the rest of the marketplace does, than what a servicer does. There’s one servicer that they guarantee you they’re going to make three or four phone calls in a month. It’s not going to get it done. Why would you wait three or four phone calls? We’ll make three or four phone calls in a day, the goal is to connect with the borrower. If you can, you have to make that decision of where you’re going and how quickly you’re going to go. A lot of times, the assets themselves will dictate that. We talk about this a lot, is the property occupied or is it vacant? That’s going to dictate what you’re going to do. Have you made contact with the borrower before and have they told you to the problems. Is there something in the notes or the servicing comments that will tell you something? Those, judicial versus non-judicial states, putting those pieces together, that will dictate where your exit is going to be. Quite frankly, you shouldn’t be waiting around, 60, 90, 120 days to see if you made contact on a phone call. We engage in a letter campaign. We engage in a phone campaign. If we can’t do it, we will recommend to send somebody out to the property. If not, to send that notice of default or accelerate the loan and make a demand and commence the foreclosure. Daniel, what would you say about people wanting to, “I borrowed a note and like to try to do the workout myself.” What pros and cons would you give to that? To keep yourself in compliance so you can take the emotion out of a lot of this, it’s always best to really rely heavily on a third party. There are a lot of people who’ve been going out and doing road trips where they drive by their assets. I’ve seen some people who are interacting with the borrowers. Are you guys’ skin crawling a little bit when you see some of that stuff happen? We’ve had clients that will post on social media, “I just closed this property,” on a public forum site. If it could be discoverable on the court of law, don’t do it. Engaging a homeowner prior to you buying the asset, even after buying the asset, only is subjecting yourself and your seller to potential liability. If you burn a seller on something like that, it will be very difficult to get back on the door. Very easy to get blacklisted if you’re doing this stuff. So is our concern about contingent liability. When you go and you create that type of uproar, there’s no benefit to it. Why would you do it? Plus you have to respect the privacy of the borrower. Most borrowers are good, hardworking people and they’ve just hit terrible life circumstances: health, marital issues, their children. To disrupt their privacy with a potential one loan purchase, it just doesn’t outweigh it for us. We’re aggressive in our approach to resolving the delinquency, but I think we’re respectful. That’s a real important piece. You can have an unpleasant conversation in an unpleasant manner. I listen to Daniel on the phone and sometimes he says, he’s patient, he’s like a saint.” It’s like magic, in all fairness. To a lot of our clients’ surprise, I work the phones. I bang the calls out, just what all of our callers do, and I attend meetings. I’m talking to homeowners on the phones all day every day. Again, it’s life’s circumstances. As a vendor to our lender, getting in a good relationship with the homeowner now of trust and of understanding and of respect, when they do actually finally get the modification, they tend to perform longer because of the sense of obligation that they feel to you. Whereas, if you’re rude and obnoxious, how am I going to convince that person to make payments if they haven’t made payments for seven years, if that’s the kind of tone I take with them on the phone? It’s all about building rapport. They’re getting calls from every debt collector from American Express, from Visa, from Honda Finance. They owe everybody in the sun, so why would they pay me versus somebody else? This is a true life situation. We get a borrower and the borrower had agreed to re-perform. We had agreed to a modification. The time came for him to make his first payment, he didn’t. Daniel reached out, contacted him. 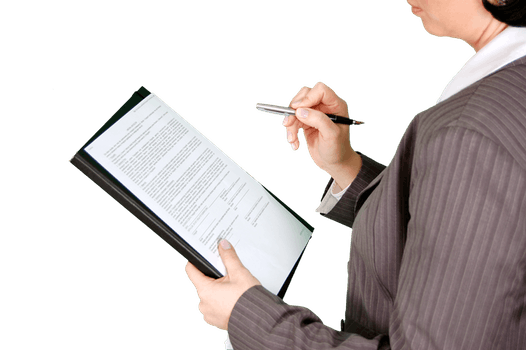 The transition of that conversation from a retention option to a deed in lieu was very simple, based upon the fact that we built a rapport with him. It was one of these deed in lieus I have even been part of. It’s just because of the conversation and how it was conducted on the frontend that carried over all the way through the process. What Joel is not saying is that when we actually took possession, his mother was scrubbing the floors of the unit and he sent us an email after. He said, “I just want to thank you for being very professional and kind and courteous through this time and need I had, allowing me to go through the process.” Emotionally to say, “At this point of my life, I can no longer afford this property and I’m going to walk away on my own terms.” It worked great for our client and worked great for him, win-win. Versus if I would have said, “You either pay now or get out,” the toilets would have been filled with concrete, all the copper would have been stripped, the appliances would have sold on Craigslist. A conversation goes a long way versus a yelling match. It’s about treating people with respect. This is literally a negotiation and we’re going through the process in which you negotiate with borrowers and to give them a lot of times, years ago, was a win-win. It’s a win-win, but at the same time the borrower needs to feel that he’s been respected and he’s exiting with his head held high as opposed to dragging his head. No one’s happy that they have to sign a deed in lieu but the reality is they’re relieved. It’s a load off of them. If you do it in a dignified manner, you’ve got a dignified exit and it’s a positive experience for everybody. Do you think it comes out more so talking with the borrowers and giving them options versus them not really knowing their options? Do you see a lot of that, Daniel? Sometimes it’s best for a homeowner if you give them the modification option even if the likelihood that they will perform isn’t high. There is this mental transition for them where they say, “Great, I have this mod,” they default. Then, they slowly realize, “I really can’t afford the house.” In the end, the investor gets what they want by just simply offering somebody, “If you’d like to keep the house, our goal is to enable you to keep it.” Offer the modification. It’s one of the biggest mistakes I’ve made early on as a note investor. I wanted the house back. I didn’t offer mods initially. I look back and I lost a lot of cash on the table by being stubborn in that way. You’d be surprised, you’ll see some mods, they will beg, borrow and steal to make it work. Some will perform for years just because you gave them that chance to keep that property. If I said my goal is to take the property, what are they going to do? They will stop answering their phone. They will dig their heels in. They will draw it out. They’ll go hire some local plaintiff’s attorney to come sue me. All of a sudden, I’m before this judge, this big, bad, bang from Irvine, California who kicked a local constituent who happens to eat at the same restaurant that the judge does or goes to church with the judge’s wife and I didn’t offer a loan modification. It makes dollars and cents sense to do so. If you can get someone to re-perform, let’s say, it’s only for eight months, your cost basis is reduced. The value of that property, if it’s going to go up, it’s going to go up a percentage. If it’s going to go down, it’s going to go down a percent. But you’re mitigating that with the payments that you’re going to receive. Then, at the end, if you have to take back the property, now it’s a much easier conversation. I have a question here. Should somebody be scared of a bankruptcy loan, a loan that’s in bankruptcy? I’m a huge fan about buying loans that are in bankruptcy. I’ll know more about that borrower than that borrower probably knows about the borrower. I’m a huge fan about buying loans that are in bankruptcy. Out of bankruptcy, you get so much information about a borrower, whether they file a 13, a 7or 11, that you would never get from a loan data tape or NPL report or a BPO. We went through one of your seminars. For pennies, for under $3, I’ll know more about that borrower than that borrower probably knows about the borrower. What are some of those things that you find on those bankruptcy reports? When you file bankruptcy, you’re required to tell the court where you work, how much you pay, all your profit and your losses, all the dependents or residents at your house, now you’re going to try to reorganize yourself. Essentially, if you treat a bankruptcy as a loan modification just given to you, where would you get that? How many times could you buy a loan? I don’t know where the person works or how long they’ve been employed there. I don’t know how many kids they have. They’ll tell you in some of their statements why they fell into the financial hardship that they’ve been. You could never get that unless you’re on an NPL that didn’t have a bankruptcy affecting it unless you actually make contact with the borrower. Do you want to talk on the differences in Chapter 13 and Chapter 7? Chapter 7 is a no-asset bankruptcy and you have essentially gone to the bankruptcy court and say, “I owe XYZ creditors. I have no ability to pay them back and I want to be relieved of my obligation to pay them back.” That doesn’t mean that there are no obligations to pay their mortgage should they wish to keep the property. It just means that they have no personal obligation to pay. In other words, I can’t sue the borrower for a deficiency judgment if they have a Chapter 7 discharge, but I can foreclose on their house. The same information that they’re required to disclose on a 13 is also on 7. In 13, it looks like it’s a reorganization. They have XYZ money coming in, they have XYZ money going out. Here are the list of the creditors and they’ve gone to the judge and says, “I’ve tried my hardest to get everybody to accept X amount of dollars each month. Nobody will take it. You force them to take it.” With some exemption. The judge can’t modify a home loan. He can’t reduce your interest rate on a home loan. It’s a court monitored or overseen repayment plan. Basically, the person is taking off the kimono and showing you everything. Plus, when you’re in Chapter 13 bankruptcy, you as a borrower is required to pay the full regular monthly mortgage payment plus all of the moneys owed up until the date you filed bankruptcy. If you owed $10,000 prior to your filing of bankruptcy, that’s paid back through the course of the bankruptcy. From a yields standpoint, you get a full monthly mortgage payment plus that $10,000 amortized over five years. If they perform, you’ve got a home run of a loan. Everybody likes a good point on the offer to mod that goes to court, you are playing in their court. They got quite a few people opted in here. It’s a great stuff. If you offer a borrower a modification in bankruptcy, many courts now require a court signature on it. If that borrower defaults five years later, guess who’s not contesting the validity of the modification? You have a bankruptcy attorney representing you, you have a court order for approving it. Help me understand where I went wrong here? A great thing that I love about you guys too is you’re also active investors. That’s a rarity. A lot of people are vendors, they’re just doing stuff, but you guys are actually buying assets. I bought my first second mortgage, I bought it at a great time, right before the crash of the real estate market in 2005. Not only are we investors but we also are both individuals that had to call clients and investors and say, “We lost everything.” I’m extremely sympathetic and understanding when an investor calls and says, “I have all my money in this asset.” I know what it’s like to have all my money in an asset and lose. We’re not just an attorney. I’m there in the trenches with all of our investors. I understand the importance of liquidating. I understand when you have investors behind you ,having to call them up and say, “We’ve lost at a tax sale.” I’ve had to pay people back. We get it, we really understand the pains of this business. You’ve gained the name of being The Connector. You have a term that you’ve coined in the industry. I think we’re all in this space, we’re all trying to do a variety of different things. If I’m buying an asset, it’s not like I’m buying a coffee cup or a stapler. If you’re buying an asset, just because I’m looking at buying a portfolio of assets, each borrower is different, each location is different, each property condition is different, the UPB, the values, everything is different. I’m not in competition. I liken to what we do as playing golf. I’m in competition with myself. If I can help you, I can lend assistance to somebody else, we have no issues in which to do so. The whole goal is I think if everybody is successful, then there’s a healthy market for us. It’s when you try and skirt the edges maybe or that you’re not transparent, whether you’re a buyer or you’re a seller, I think that’s when issues come to play. I think we all can work together. Some of the best conversations I’ve ever had are with other servicers or people who do loss mitigation or other investors. I didn’t look at it from that perspective. It’s evolution, we’re evolving and intellectually we’re evolving. We’re evolving in what we want to do and want to do it. I think it’s a healthy thing if we’re able to cooperate with each other. 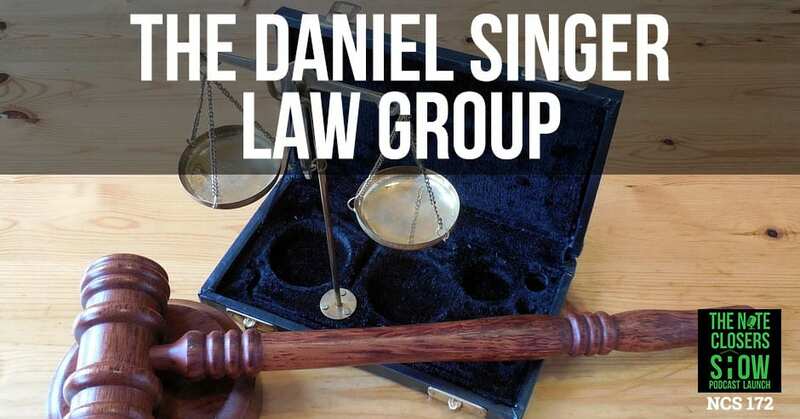 What we do is we’re different versus somebody else in the market because Daniel being an attorney, we look at it from legal perspective and therefore, things don’t get in our way. Meaning, if a borrower files bankruptcy, if we have to file a transfer of claim or if we have to file a proof of claim, those are things that need perfected to the point where he’s going to any jurisdiction and file those type of paperwork online. Sometimes you buy an asset and you don’t realize you have a deadline, you have his experience and a higher experience going back and forth, having an understanding of seeing a variety of different assets. I’m not saying we’ve seen it all because tomorrow will be something different. This is a small pond that we swim in. I like seeing your Facebook post where you have a client of yours who bought one and now they’re buying 100. How great is that? For us, it’s the same thing. If we have a client that starts out with one loan and a year from now is a hundred, anything that we can do to help our clients, to us that is the greatest satisfaction. You guys also do a variety. It’s not just first liens, you are doing second liens and loss mitigation and contract for deeds. You guys also do stuff on commercial notes? We play a little commercial notes only because we just don’t see it. The commercial markets now are so hot, unless you buy some teardown in the middle of some other state. You just don’t see the commercial opportunities like you used to. Now, we’re seeing so many paper come into the marketplace, some multi-family stuff, but this is like a building in the middle of Texas. Our focus now mainly is on first, seconds, we see some land sale and CFDAs. We have some clients with some unsecured stuff or some deficiency actions. You guys are doing business in all 50 states? I’m licensed in California and Nevada, so we’ll oversee the foreclosure process in those two states, with some exception. Then the other states, we act us national counsel, oversight counsel. We’ll farm out to a firm in Michigan. There’s no upcharge. It’s just a complete pass-through. We charge $1,000 at the end of the foreclosure. It’s the pass-through, right to the point. You guys are working on something big for next year. You’ve done well doing business that you’ve added recently. You’ve also got a servicing branch. Will you talk a little bit about that? We’re working with ClearSpring Loans Servicing. They are out of Dallas, Texas. We have solidified a special relationship with them and we’re coming to the market with that. I think they’re unknown in our space. I’ve spent a lot of time with them over the last 60 days. A very positive, forward-thinking group. We’re excited for that opportunity. We work well with every servicer. We have great relationships with all servicers, not a negative thing to say about any of them. The ClearSpring opportunity was just something very unique to us. We’re still working with clients that are out in SCI or LandHome, Madison. I’m excited for something you got lined up for the end of the first quarter next year. I think it’s something that people need to really look at because it’s such a unique thing that is such a great niche out there. Daniel, you want to talk a little about it? We would bring in law firms from all 50 states to educate the marketplace on what’s new on their states. We’ve been talking about doing almost of a conference of some kind. Different than what we all traditionally go to where you’re meeting buyers and sellers of loans, rather it would solely be focused on the legal aspect of this marketplace. We would bring in law firms from all 50 states to educate the marketplace on what’s new on their states. Yes, I do need a debt buying license on this state. No, I don’t need a debt buying license. If I do, what’s that process? Am I truly exempt from debt buying license in Georgia, yes or no? 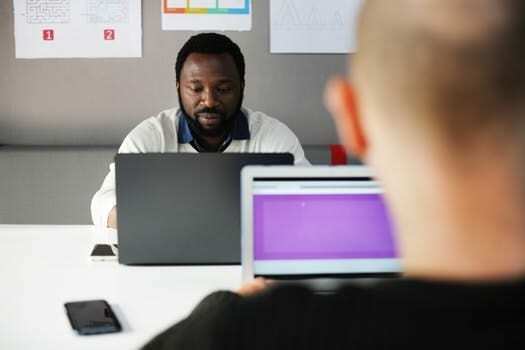 Joint venture agreements, how do I create them and structure them? Partials, am I selling partials? How do I structure partials, asset protection? It will be a great forum for any investor to ask any attorney in every state. That’s what we’re really focusing on. I think it’s going to be really great for the marketplace. If you can really understand and digest the realities of a state, you would be so much better off than somebody who’s just chasing yield or chasing a hot real estate market. Also, it allows for you to invest in the niches of the cracks that a lot of people miss. One of the things that we talk about is we attend certain events. Sometimes you attend it for the opportunity to network and to see people you haven’t seen in a while. There’s fewer and fewer places where you want to go in each session and sit and make sure you don’t miss it. We think that this is going to be an event where those rooms are going to be filled because the context is going to be so rich and filled. What’s this event going to be called? We’re going to call it The Investor Legal Summit. You’re looking at about what time in the year next year to have it up? We’re shooting for March of 2018. We’ll bring it out to sunny SoCal, not a bad place to visit. We’re going to bring in some bankruptcy trustees, some former retired judges, general counsels from various lending institutions. It should be a really great opportunity for us to really get out to the marketplace what we preach to our clients on a daily basis. We want it to be unique and different and full of content. A lot of people are, like you said, “Do I need a debt buyer’s license in Georgia? Can I get around it? Can I just buy one with a different LLC every month or every asset? Can I buy stuff in Washington State or can I buy stuff in Illinois without having a debt collector’s license?” There’s a lot of unknowns that will obviously either fall on the black or the white side of the line. How about, “Can I contact the borrower post-bankruptcy?” How about a judge tell you what their view is on it? There’s a new case that came out in Illinois that says that a borrower can make a partial payment as opposed to a full reinstatement. We think as the laws change on a daily basis, having a yearly summit where you can really educate yourself. We’re going to hand out free handouts on templates that we use on a daily basis for loan modifications and forbearance agreements that every attendee can walk away with. Whatever the cost of admission, they’ll get back tenfold not just in knowledge but it’s the handouts that they can walk away from. Not just the handouts, but the relationships too, going direct to the source versus just Google-ing something . We’re taking advantage of the opportunity to speak to people through a podcast but nothing replaces seeing somebody in person. I think that’s really our focus, is to bridge those gaps and create out those opportunities. You guys do a lot of things, a better question to ask is what you guys don’t do here with special servicing? If the servicer is the shield, we’re the sword. We don’t send out monthly billing statements. We don’t send out or monitor taxes and insurance. We don’t send year-end tax forms. We are the guy that will go out and knock on the door, if need be. We are the team that will go out and foreclose if need be. We are the team that will go and defend in a bankruptcy if need be and handle the eviction if need be as well. We can help with the property preservation. If the servicers don’t want to get their hands dirty, we’re the guy they got there and get our hands dirty. We supplement. We work complement. If your servicer is making three calls, we’ll make a couple of calls. From three, now you have five calls weekly. If your servicer is sending out a monthly late notice, we’ll send out a hybrid late notice. Again, we’re not licensed to service loans. We don’t collect mortgage payments. If we get a borrower to agree to loan modification, we direct the payment to go to the servicer. They handle the payment processing, and they disburse all the cash to the investors. Basically, if you’ve got a borrower that you’ve negotiated a loan mod, you basically set that up as far as outlining it and have the servicer wrap it up and hand it to them basically. If they fall delinquent, we’ll call and make a friendly reminder that you got to make a payment. Definitely a lot of years of experience here with loss mitigation, special servicing. Are you dealing with people who just have one loan or you want to deal with people who have 100 loans? What’s the ratio for that? You never know where the next deal is coming from. I meet with clients that have no loans and then they just got into this space and they’re looking at a loan. They just need some advice, “Do you see a title issue here? What problems or pitfalls am I going to fall into it?” We’re open to really anything. You guys are doing a great job of treating everybody fairly. We welcome clients. Both Joel and I and all of our staff members here and attorneys, we’ll pick up the phone. We’re the ones that work the file, so please, we’ll take calls day and night. I don’t even have a desk phone. All I have is my cell. You guys want to give out the best numbers we can reach you guys at? You can reach me at 714-336-4666. Remember I’m on West Coast time. They can call me at 8, text me before. I’ve taken phone calls at 6:30. Our office is 949-449-1574 or I can be reached on my cell at 619-818-6248 or via email at Daniel@DSingerLawGroup.com. I’m up extremely early every morning. I respond 4:00, 4:30 my time. Which is 7:00, 8:00 on the East Coast, which is okay. Joel, what’s your email? Your website should be up here before too long, is that right? We’re taking pictures for it today. Any thoughts that you want to leave? You guys are going to several events. You’re going to be at the Distressed Mortgage Expo in California. You’re going to be on Note CAMP in October as well. You guys are going to be at the Eddie Speed’s Note Expo in Dallas the first weekend of November. You’re a regular in our Mastermind as well, stuff like that. We’re hoping to test case our Investor Legal Summit at the Mastermind. It won’t be a problem, trust me. Whoever comes to that, hopefully will get a preview of what’s to come. Do you guys work well with collateral reviews? Yes, in fact we’re doing a bunch of them right now. 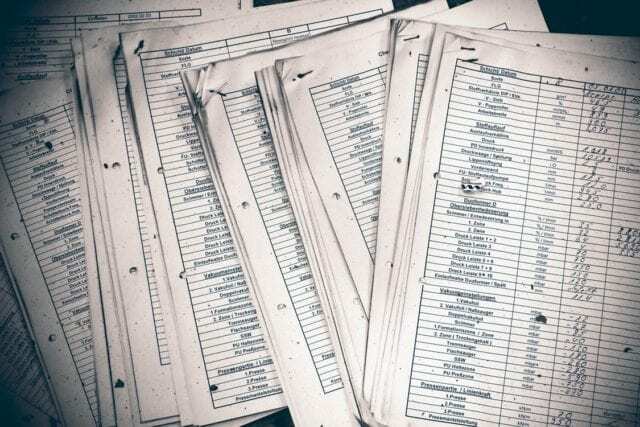 Somebody has got a file folder and looking to make an offer, first few assets that they’re looking to buy, you look at the collateral files for them and give them the opinion and tell them what’s missing? Right. The O&E reports, we’ll review their BPO. We can even give our thoughts on pricing, etc. Since you guys are a hub for a lot of investors, some of your clients have assets for sale too, right? Yeah, we’re starting to do more and more training. We have clients who come to us and say, “You know a lot of different people,” and we’ll sell assets on their behalf. We have funds that we have relationships with that we’ll get tapes and we’ll make certain purchases and solve a certain portion of that. We also have different opportunities for different tools that will come our way. There’s always a flow of different assets available. Right now, we have a small pool of some assets that we have and then we’re going to be seeing a few more tapes that we’re working on right now. You guys do workouts and handle that for funds. Kimberly and Wayne, I remember when they first came to their first live events and look at them now. We are privileged to have those types of relationships and they’ve evolved into a personal relationship. Our goal is to work with you, not against you. I think it’s a symbiotic relationship. We want to make sure that it works well. If you’re going to friend request me on Facebook or Instagram or LinkedIn, just give a sentence and say, “I’ve heard you speak.” Sometimes I get these things, I don’t know where it’s coming from. Just give me a heads up. I’m happy to say yes but just give me a heads up. If you’re reaching out to them, they’re all on social media but make sure you mention, “I heard you on the podcast. I heard you on a workshop or an expo,” something like that. Guys, thanks so much for joining us on this episode. I guarantee a lot of people will love this. Your emails, we’ll start having people respond that way for you. If you’re going to email them or reach out to them, use #notecloserspodcast or #sealteamsinger. 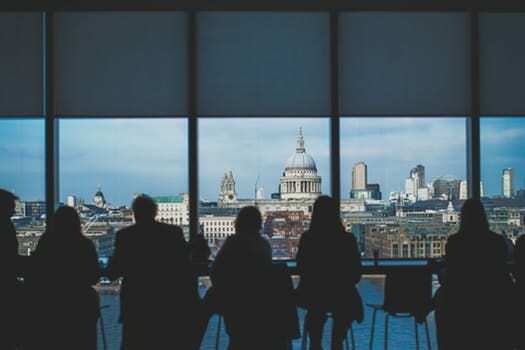 If you want to get something done in a timely fashion and want to really speed up the velocity of your capital, this is the firm that you need to have as a very big trusted partner on your team of professionals to help you take your business to the next level. Thank you for joining us. Feel free to share this, leave us a review on the podcast and we’re always glad to help answer any questions to help expand your business. We’ll see you all at the top. The Singer Law Group specializes in Creditors’ Rights via Loss Mitigation, Asset Management, Bankruptcy Representation, Foreclosure and Trade Advisory.